Misdemeanor and felony convictions can have serious consequences on your job and family. Criminal Defense Lawyers in Brooks Law Firm understand what you are facing and we will work hard to protect your rights. Memphis is ranked with one of the highest rates of theft in the country. There are an estimated twenty four thousand reported thefts in the city every year. A person commits theft if they knowingly exercise control over another person’s property without the owner’s consent. Thefts are generally categorized by the value of the property. For example, if the the property is worth five hundred dollars ($500) or less, it is considered a Class A misdemeanor. This makes a person charged with theft at risk to going to prison for just under a year, or a fine of up to $2,500 (or more serious punishments depending on the factors and applicable law). During the process of trial and sentencing, courts will consider a variety of factors, such as: whether this a person’s first offense; what the circumstances were surrounding the alleged theft; whether the person has the capacity to find employment in order to avoid resorting to theft again in the future. You will want a criminal defense lawyer who is experienced in defending people from charges of theft, and who knows how to talk to judges and prosecutors in order to present your side of the story. If necessary, you need an attorney who can explain your options, and the consequences of diversion or probation so that you make the right decisions. Shoplifting has the same penalties as theft, but is associated with different activities. Shoplifting is one of the most prevalent crimes today. It is estimated that 1 in 11 Americans has committed the act in their life. This results approximately $35 million in losses every day, and some retailers are relentless in cracking down on the crime. Sometimes this means retailers are willing to go too far, putting your rights at risk. Some companies are notorious for their strong-handed approach to preventing shoplifting, and you do not want to take them on alone. In order to curb shoplifting, under Tennessee law a person can be charged with theft of property if they do any of the following things: hide merchandise, remove merchandise, alter or remove any price tags, move the merchandise from one container to another, or manipulate the register. Depending on the value of the items, one could be faced with a class A misdemeanor, or a felony. Therefore, it is important to seek representation by an experienced criminal defense attorney if you are charged with shoplifting and accused of doing any of the above. $500 or less: Class A misdemeanor – maximum 11 months and 29 days, and up to $2,500 in fines. $500-$1000: Class E felony – no less than one year, and up to six years. In addition, a fine up to $3,000. $1,000-10,000: Class D felony – no less than two years, and up to twelve years. In addition, a fine up to $5,000. $10,000-60,000: Class C felony – no less than three years, and up to fifteen years. In addition, a fine up to $10,000. $60,000-250,000: Class B felony – no less than eight years, and up to thirty years. In addition, a fine up to $25,000. $250,000 or more: Class A felony – no less than fifteen years, and up to sixty years. In addition, a fine up to $50,000. Brooks Law Firm is dedicated to fighting for your freedom and the ability to move on after your case. Brooks Law Firm asks the tough questions. Did the prosecution prove their case? Were there extenuating circumstances? Did the officers involved violate your constitutional rights? There are many possible defenses that could exist in a theft case, and you have more options than just pleading guilty. Call today and talk to Patrick Brooks, Memphis criminal defense attorneys are ready to talk about your theft charges and all options for moving forward. Brooks Law Firm offers the initial consultation for free. Call (901) 324-5000. Criminal Charges can have serious consequences on your future job prospects and family. Patrick Brooks is a Memphis criminal defense lawyer that understands the consequences you are facing and works hard to protect your rights. The legal system can seem complicated at times, but attorney Patrick Brooks understands this and will find solutions to your problems. If facing difficult decisions regarding your criminal charges, contact an experienced criminal defense attorney in Memphis Tennessee that will explain the criminal charges before you talk to anyone else. Brooks Law Firm will work hard to negotiate the best possible settlement of your case, including the dismissal of charges and expungement of your record. When your back is against the wall, our Memphis criminal defense lawyers are dedicated to helping you find the right solution to your criminal charges, including informing you of all options and defenses available. Mr. Brooks will work across the divisions of the judicial system to get you the best possible result. Judges and prosecutors respect his drive and personal touch he gives both the cases and criminal clients he represents. You need a skilled attorney ready to get the best results possible in plea negotiations and courtroom presence. Brooks Law Firm has Spanish Interpreters available at a moment’s notice. Brooks Law Firm is fair, and works with clients involving costs, fees, and fines associated with your criminal charges. When you need a criminal defense lawyer in Memphis and Shelby County, Tennessee that will fight for your rights both inside and outside the courtroom, Attorney Patrick Brooks is who you should call. 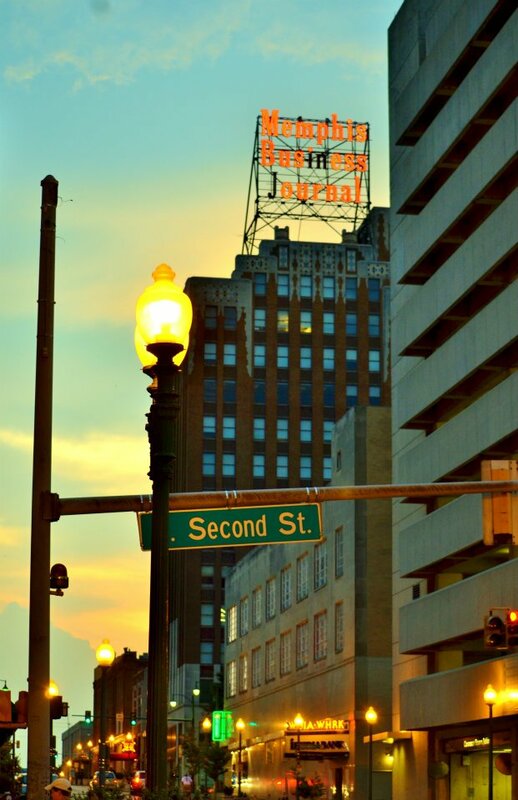 Our office is conveniently located in the heart of midtown Memphis and is handicap-equipped for disabled persons. We accept cash and credit cards and we will work with clients on payment plans when that option is available to suit the needs of the client. Call Patrick Brooks Law Firm’s attorneys for a free consultation today regarding your criminal charges. Our DUI lawyers practice in: Arlington, Bartlett, Cordova, Collierville, Germantown and Millington, Tennessee.